By Subhasish Chakraborty Subhasish has been working as a Travel Writer for the past decade and is associated with some of India’s most renowned newspapers like The Times of India, The Telegraph and The Asian Age. He has also contributed articles on Travel & Tourism to some of India’s best known travel publications such as Voyage and Discover India and regularly contributes to the In-Flight magazines of some of the major International Airlines operating from India. I must have visited Kerala more than a dozen times, but until a suggestion from Jacob Kutty, a childhood friend from Chochin, I had never stayed in one Kerala’s luxurious “Kettuvalams” (Houseboats) on shimmering Lake Vembanad, one of Asia’s largest freshwater lakes. 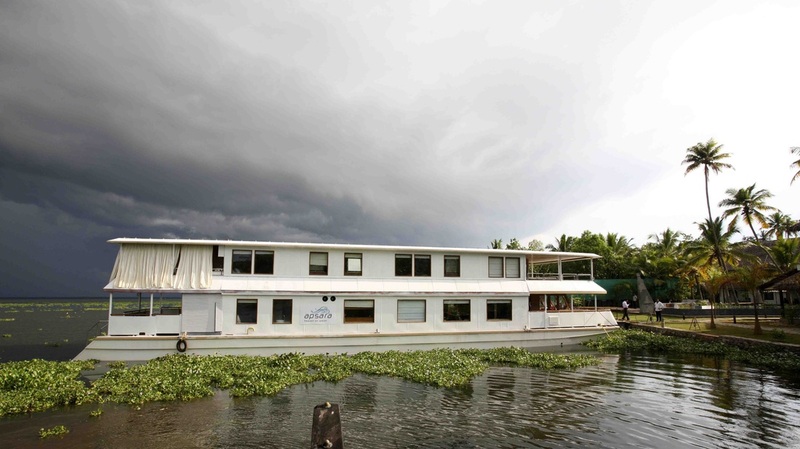 Kerala Houseboats have proved beneficial for tourism here and the country has carved a niche as one of the world’s premier backwater cruise destinations. The Vembanad Wetland system is in the largest of three Ramsar Sites in Kerala state and the Vembanad Lake is a major tourist destination due largely to its picturesque setting. 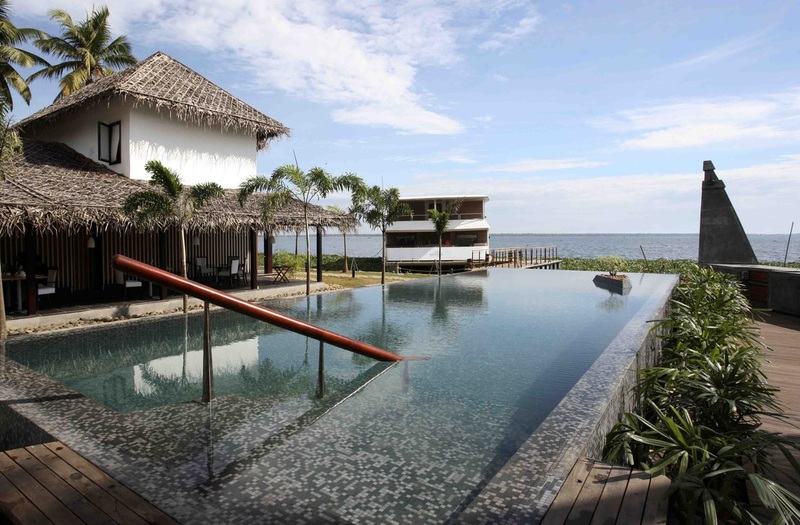 Kumarakom Tourist Village, the most popular site on the shores of the lake, offers a wealth of nature-based recreational pursuits such as luxurious boat cruises, yoga, meditation and Kerala Ayurvedic massage therapies. 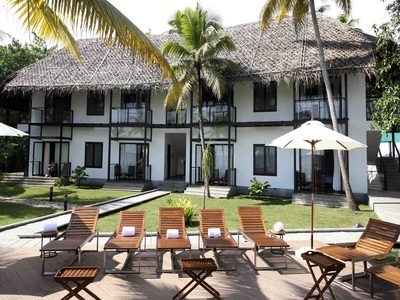 Guests can choose from a range of leisure options from the Hideaways package; ancient Ayurvedic Rejuvenation therapies, innovative Honeymoon packages or Kerala Beach and Backwater holidays. 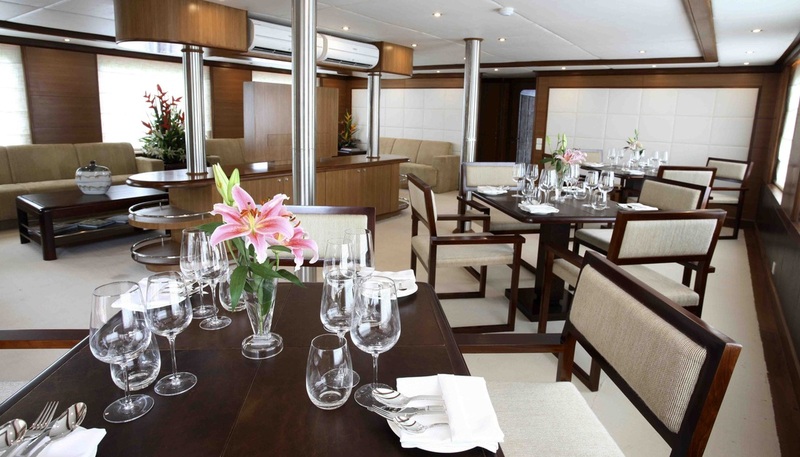 The enthusiasm of the support staff impressed me, they go that extra mile to ensure guests’ satisfaction. 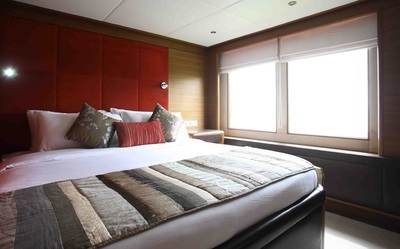 The “Backwaters by Night” cruise has become extremely popular and it is thrilling to view nocturnal creatures. 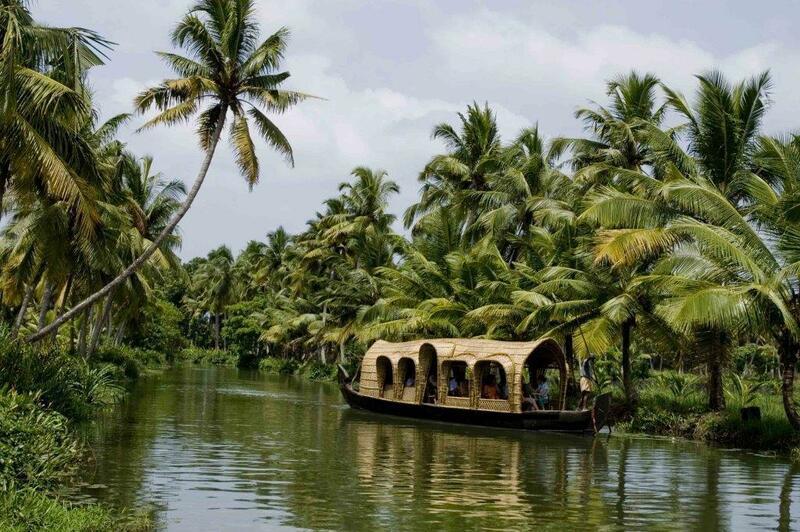 Our expert boatman knew the backwaters well and would make frequent stops at the shore to view frogs, snakes, fish, large aquatic insects and other weird and wonderful creatures. It helps to have a keen sense of hearing and in spring or summer you may be entertained by a symphony of frogs. 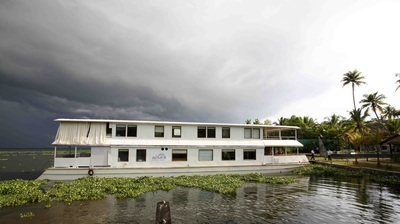 It is one thing to be pampered in a deluxe hotel but quite another to spend time on the banks of Kerala in a houseboat. Sheer bliss! From Kumarakom Lake Resort we headed west to the anchored Park Apsara, a new dimension to Backwater holidays in Kerala. 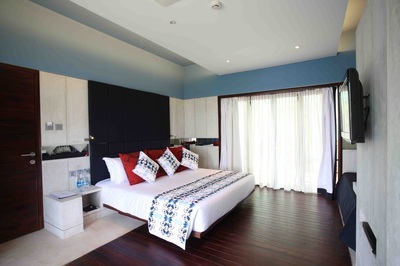 Park Apsara is a pioneer project from India’s one and only 5-star boutique hotel chain, The Park Hotels. The two-level cruiser has eight elegantly designed rooms, exclusive galley, saloon and dining area, while the sundeck and seating area offering breathtaking views of Kerala’s ethereal backwaters. Sophisticated interiors ooze deluxe furnishings and modern amenities. The dining area and salon are on level 1. Corner sofas with designer cushions and tables on level 2 offer plenty of space for guests to enjoy the scenery of the backwaters. I was particularly impressed with the décor and quality of food served in Hyacinth, the lake side restaurant, serving some of Kerala’s best cuisine together with an array of gastronomic delights from around the world. Every evening the crew organise cultural shows that showcase Kerala’s heritage and culture. On the penultimate day of my stay after lunch consisting of the quintessential “Chettinad Cuisine” cooked to perfection by the resident chef, I travelled to an adjoining hamlet. Gorgeously dressed womenfolk, rehearsing for the Onam festival that was just a week away, sang local hymns and folk songs. This is a place of thatched huts and folklore, where slow moving carts still ply village roads and cows and buffaloes are used to till the soil. Add to that the characteristic features of a Sustainable Backwater Holiday option and you have all the makings of an “Eden on Earth”. Who my playmate was I did not know. Kerala is a small state in south western India renowned for its nature based tourism products and blessed with nature’s bounties. To the west is the Arabian Sea and to the east is the Western Ghats mountain range, separating the neighbouring state of Tamil Nadu from Kerala. It is easily accessible by air. There are three international airports - Thiruvananthapuram International Airport, Cochin International Airport and the Karipur or Calicut International Airport. The state is also accessible by both railway and road transport networks.